If asserts are enabled the recorder configuration (trcConfig.h), this error is generated in uiTraceGetPriorityProperty when a task has an “object handle” value larger than expected. Our FreeRTOS recorder assignes each task an 8-bit “object handle” (the “id” parameter in uiTraceGetPriorityProperty), which should be in the range [1..NTask]. 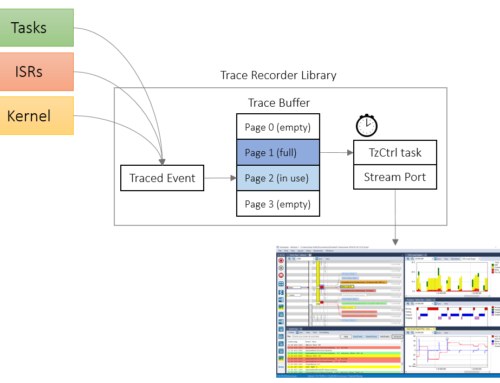 The NTask constant is defined in trcConfig.h and gives the maximum number of tasks the recorder can handle at the same time, not counting deleted tasks. This error usually means that you need to increase the value for NTask in trcConfig.h.